Now in paperback, the bold, genre-defying book that asked: What if Mary Shelley had not invented Frankenstein's monster at all but had met him when she was a girl of eight, sitting by her mother's grave, and he came to her unbidden? 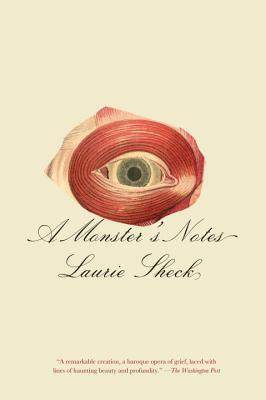 In a riveting mix of fact and poetic license, Laurie Sheck gives us the "monster" in his own words: recalling how he was "made" and how Victor Frankenstein abandoned him; pondering the tragic tale of the Shelleys and the intertwining of his life with Mary's (whose fictionalized letters salt the narrative, along with those of her nineteenth-century intimates); taking notes on all aspects of human striving--from Gertrude Stein to robotics to the Northern explorers whose lonely quest mirrors his own--as he tries to understand the strange race that made yet shuns him, and to find his own freedom of mind. LAURIE SHECK is the author of five books of poetry, including The Willow Grove, which was a finalist for the Pulitzer Prize. A recent Fellow at the Radcliffe Institute for Advanced Study at Harvard and at the Cullman Center for Scholars and Writers at the New York Public Library, her work has appeared in The New Yorker, The New York Times, and Boston Review, among other publications. She teaches in the MFA Program at the New School.